Join QWAG’s Pamela Zollicoffer to reimagine the great flood of 1968. 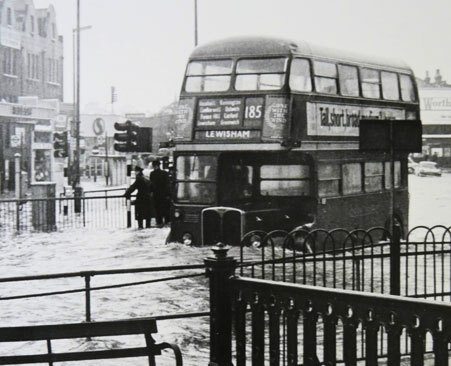 This walk from Lewisham railway station to Lee Green you will replay the experience, compare views now with archive photos of the time and hear how people reacted and coped to much of Lewisham being under water. A street map will be provided showing the route we will take and the courses of the rivers.